They are all waterproof and effective longer then water absorbing elements. 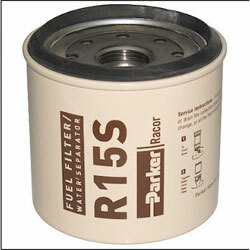 The micron rating preferred will be a function of fuel quality, operating climates and maintenance schedules. 30 Micron element (PM) is recommended when the turbine series will function as water separator and primary filter. Construction and agricultural equipment should change element every 300 hours.